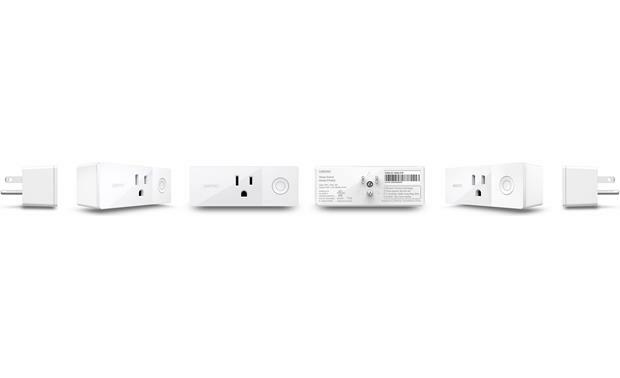 This package of three Belkin Wemo Mini Smart Plugs gives you convenient, wireless control of multiple home appliances. 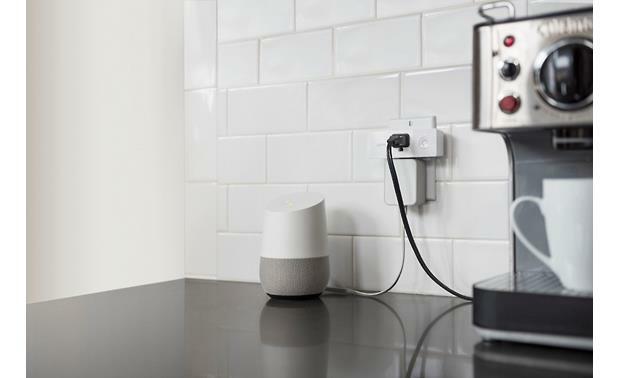 You can turn devices on or off using the free Wemo app on your Apple® or Android™ mobile device, or take it to the next level by adding voice control via Amazon Alexa, Google Home or Apple HomeKit. Use Belkin Wemo Mini Plugs with an Amazon Alexa or Google Home voice controller (not included) to turn connected appliances off and on. Plug each switch into a standard AC outlet and connect a device — lamp, heater, coffee maker, etc. — and that item becomes part of your remote-controlled home automation network. Use the Wemo app to set a rule that turns a light on at a certain time of day, so you don't have to feel around for a light switch when returning home after dark. Or set a vacation timer that turns the Wemo switch on and off according to any schedule you choose, so it looks like you're home. The Wemo system is modular — you can add more switches to control devices in different areas of your home with the same free app. Package Overview: This Belkin Wemo Wi-Fi Smart Plug bundle contains three Wemo Mini Smart Plugs (F7C063). Mini Smart Plug: The Belkin Wemo Mini Smart Plug is a Wi-Fi-enabled plug-in AC outlet that allows you to turn electronic devices on or off from anywhere. 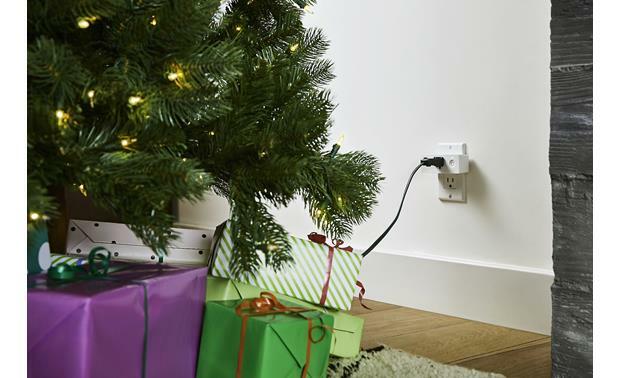 The plug uses your existing home Wi-Fi network (IEEE 801.11n, 2.4GHz) to control almost any plug-in device, from TVs and stereos, to lamps, fans, small appliances, and heaters. It plugs into any outlet in your home, and has a single standard AC outlet for plugging in the device you want to control. 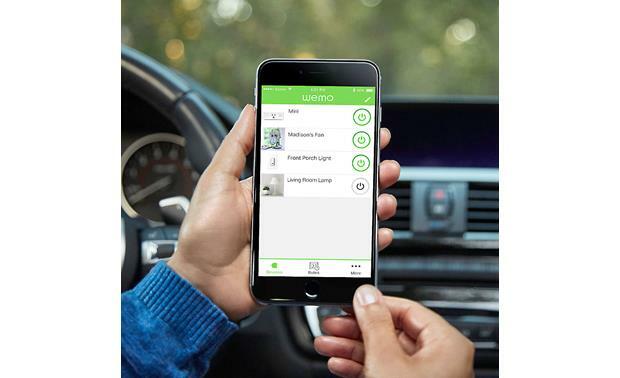 Your Wemo system requires you to download the Wemo app onto your smart phone or tablet. From the app, you can turn the device on or off, and set schedules. 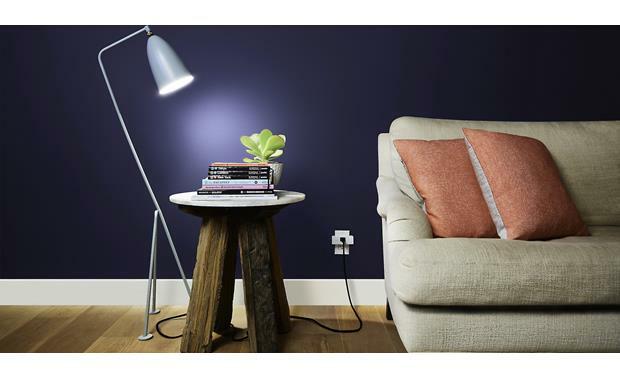 The Wemo Mini Smart Plug is designed for residential indoor usage, and should be used in dry areas only. Note: The Mini's electrical rating is 120V AC / 15A / 60Hz / 1800W. Wemo App: The Wemo app lets you control all of your Wemo products from anywhere on your Apple iOS or Android devices. 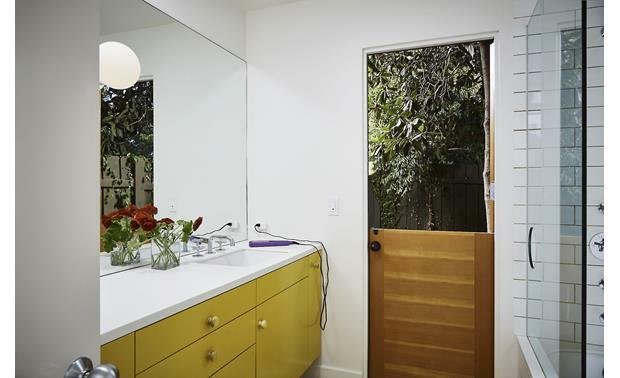 You can set and edit schedules to turn lights on or off while you're away to simulate occupancy. The Wemo app works with iPhone, iPad, and iPod touch running iOS 9.0 or later, and is available from the Apple App Store. It is also compatible with Android devices running Android 4.4 and up, and available from Google Play. Nest Learning Thermostat: The Nest Learning Thermostat communicates with your Wemo devices to let them know how to react to the thermostat's "Home" and "Away" modes. The Nest Thermostat detects whether you're at home or away, and can turn lights or appliances on or off according to your settings. You can also perform basic adjustments to the Nest Thermostat while you are on the Wemo app. 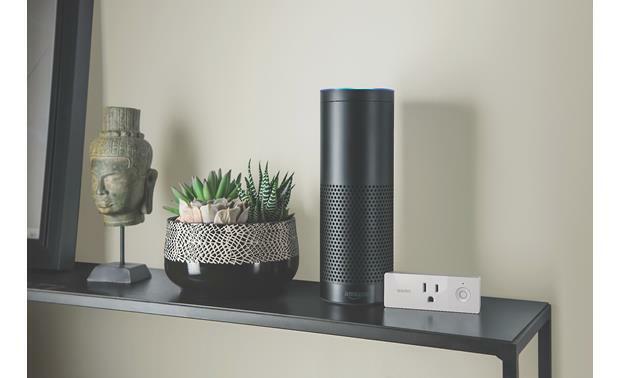 Amazon Echo (Alexa): The Wemo Mini, and other Wemo devices, work with Amazon Echo, Amazon Dot, and Amazon Tap, allowing you to control you devices with your voice. Simply speak voice commands to Alexa and the Wemo devices will follow your directions. 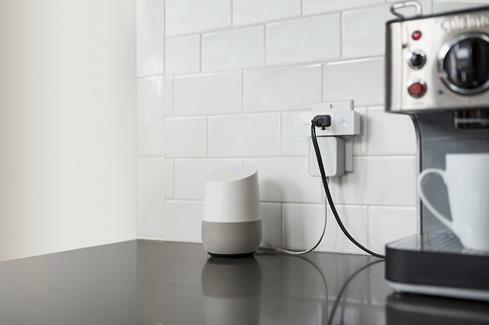 Google Home: Google Home gives you voice control over the devices you have plugged into the Wemo Mini. 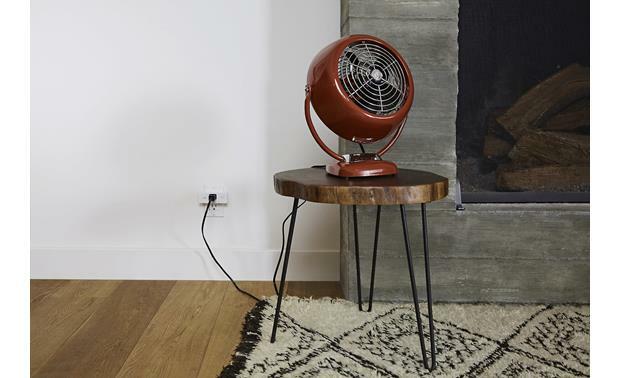 You can turn on lights, fans, heaters, or other devices with just the power of your voice. Apple HomeKit: You can control Wemo devices with the Apple Home app and Siri from your iPhone, iPad, Apple Watch, or HomePod. IFTTT (If This, Then That): If This, Then That (or IFTTT) is a service that creates relationships between apps and services to make things happen at a specific time of day or if another event takes place. For example, you could set the Wemo Mini to turn on a lamp in your home precisely at sundown every day (IFTTT picks up the sunset time from a weather source of your choice (Weather Channel, AccuWeather, etc.). IFTTT features dozens of "applets" for your home, your car, or just about any part of your life. 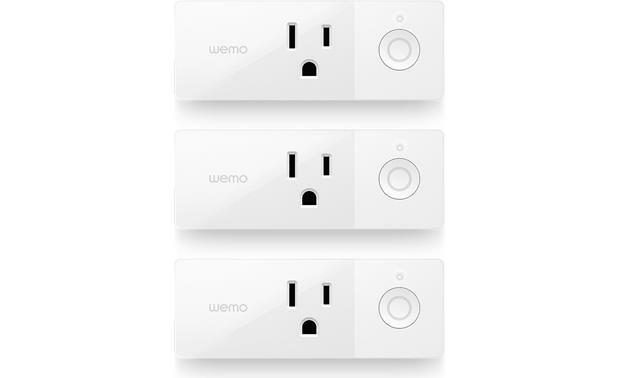 Searches related to the Belkin Wemo® Mini Smart Plug Bundle 3-pack of wireless smart home outlets.